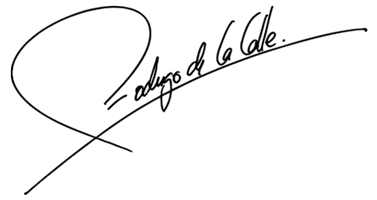 Rodrigo de la Calle expands its international experience across the world, particularly in Beijing, China. 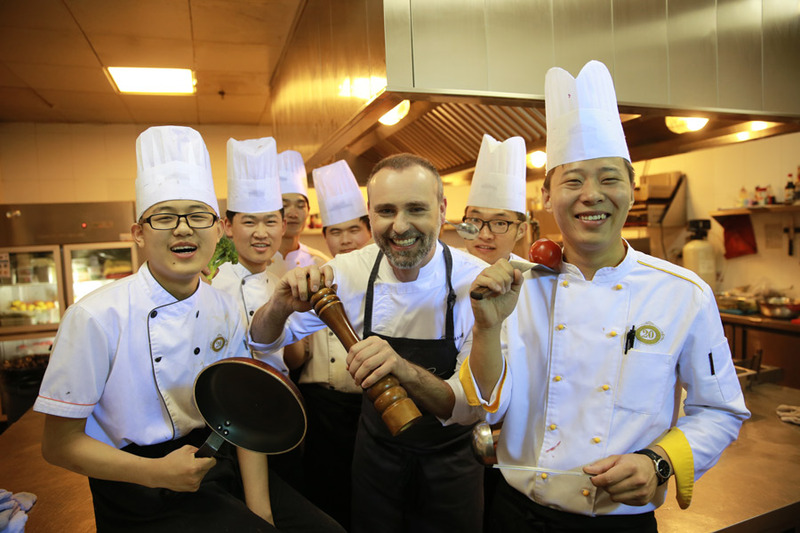 He often travels with the suitcase full of flavors and gastronomic experience to serve as a executive chef and culinary consultant At Puerta 20, located at the stadium of the football team in Beijing Guoan. In Beijing, Rodrigo wants to introduce the Spanish cuisine not only traditional cuisine and tapas, but also move the favors of haute cuisine of our country. 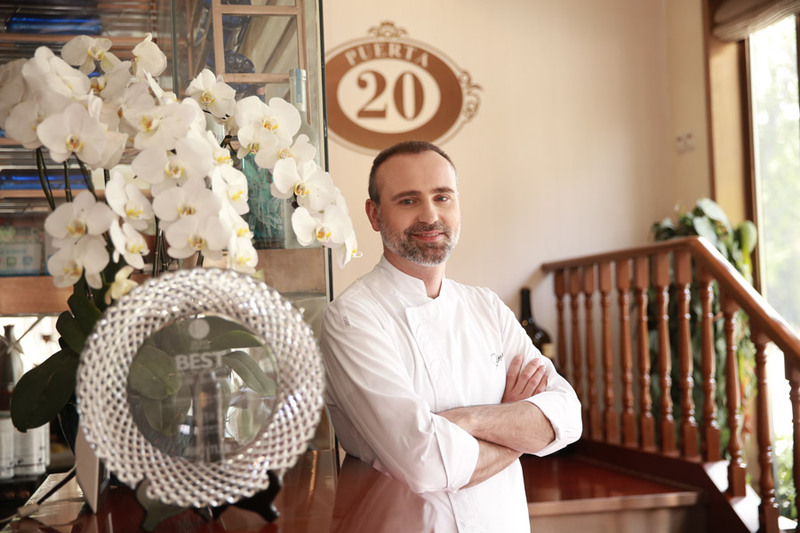 Gastrobotanic is very present in the plates that Rodrigo creates for Puerta 20. In China there is a lot of plants that are not found elsewhere in the world and in every trip to Beijing Rodrigo has done, he works with these products applying different techniques to reflect the best of this vegetables in their dishes. At the beginning of 2017 he opened his second restaurant in China, for the group Door 20, in the exclusive Lake Romelake, the coolest area of Beijing, dignifying the cuisine of the Spanish author, being chosen among the 50 best Western restaurants in China by the Food and Wine magazine. In his new gastronomic restaurant in Beijing, Rodrigo creates a more personal cuisine. This agreement provides advice in assortment, formats, new references, etc. fruits and vegetables which fulfills the expectations of the most demanding Reston the Iberian península. Experience and knowledge are reflected in different media, such as catalogs and videos that Rodrigo provides tips and recipes. Rodrigo de la Calle and MAKRO present every year the Green Calendar, which includes relevant to MAKRO customers who are advised about the benefits that the use of fruits, vegetables and mushrooms of the season in the kitchens of their business information. Rodrigo de la Calle and Primaflor sign an agreement for the study and dissemination of healthy and sustainable gastronomy. The Michelin star chef, known for his relationship with the garden and creator of the gastrobotanica, joins the 40th anniversary of Primaflor with the aim of raising awareness about the importance of the natural origin of products and sustainability. The collaboration will include a study, participation in gastronomic meetings and gourmets of the sector and the conceptualization and development of a new range of Primaflor products. 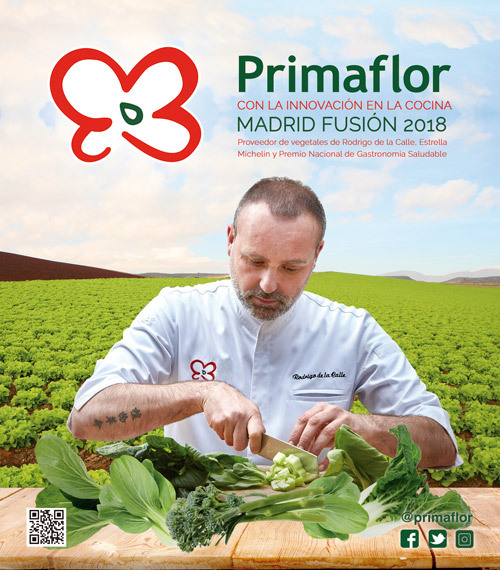 Primaflor, in the year of its 40th anniversary, wants to bring the process of cultivation to consumers, developing a recipe based on their products and the experience of the chef, who defends that taste and health are not at odds. One of the biggest concerns of Rodrigo de la Calle is the process from when the product is collected in the garden until it reaches the consumer, and then manipulated in the kitchen. The chef, who claims to cook with his heart, warns on the other hand of the importance of taking care of this process so that vegetables maintain their essence and nutrients. Therefore, the collaboration will include a study, participation in gourmet meetings of the sector and the conceptualization and development of a new range of Primaflor products. All focused on the disclosure of the importance of taking care of the entire process to maintain flavor, properties and nutrients of the product. Primaflor has its origin in 1976, with four decades of experience, it is one of the leading fruit and vegetable companies in Spain. Specialized in the cultivation of varieties of lettuce, oriental vegetables, tender shoots and in the production of prepared salads. It stands out for the total control of its processes, from seed to commercialization. Rodrigo de la Calle, the chef of the “green revolution”, has presented the two new Findus Professional references for the Horeca channel: Quinoa with vegetables and caramelized onion. The renowned chef awarded a Michelin star in his restaurant El Invernadero has made a showcooking in which he has prepared two tasty and striking dishes with the new Findus Professional products, explaining their main characteristics and the benefits they bring to professionals in the sector. Two new references designed for restoration chefs who do not want to give up the variety and quality of the product. 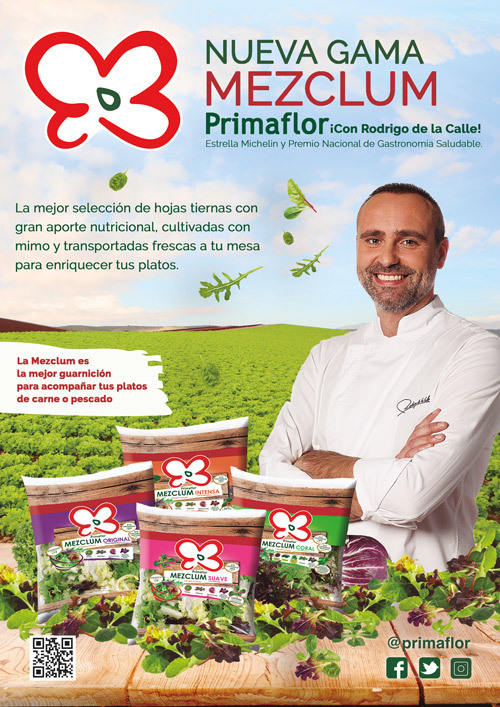 The leading brand in frozen vegetables and stir-fry reaffirms its commitment to food and the catering sector, by offering a wide variety of innovative references for the Horeca channel, counting on Rodrigo de la Calle as a brand ambassador. High quality products that will save time and offer complete and tasty dishes with excellent flavor, while helping to maintain a varied and balanced diet. Since 1976 Findus Professional is synonymous with the highest quality and innovation. It is positioned as the trusted brand in frozen thanks to a careful selection of the best raw materials and rigorous and innovative deep-freezing and packaging processes. This, together with the excellence in the service and the availability of the product 365 days a year. Bruñó has created “La Melonería by Bruñó”, a unique space dedicated to learning and innovation with melon. The company, which offers high quality fruits, already exports to Scandinavian countries, Belgium, Germany, France, Italy and Poland. For his presentation he has counted on the renowned michelin star chef Rodrigo de la Calle, who has opened his restaurant “El Invernadero” in Madrid exclusively for a showcooking with unique recipes, in which he has taken the melon to its limits. 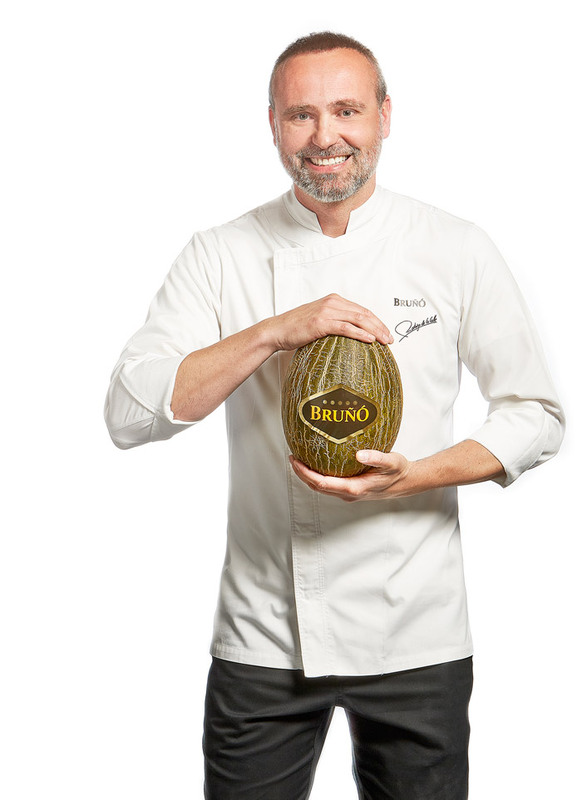 The company of production and distribution of high quality fruit Bruñó, located in Alcalá de Chivert (Castellón), has created “La Melonería by Bruñó”, a place where to learn, understand and look for the limits of melon. The manager of the showcooking and collaborator of the brand is the master of green haute cuisine Rodrigo de la Calle, an expert in the preparation and cooking of fruits and vegetables, who has just opened a new restaurant in Madrid. After a hard creative process and experimentation, Rodrigo de la Calle has prepared seven unique recipes so that people “can enjoy the melon in a way that I had not imagined until now: seeing it, feeling it and tasting it”.